When yoga blogger Jenny Feldon’s husband was transferred to Hyderabad, India, for two years, she wasn’t sure what to expect, let alone what to pack. The trip became a journey for her, both physically and emotionally, as she learned how to cope with a new country, language and a whole different culture. 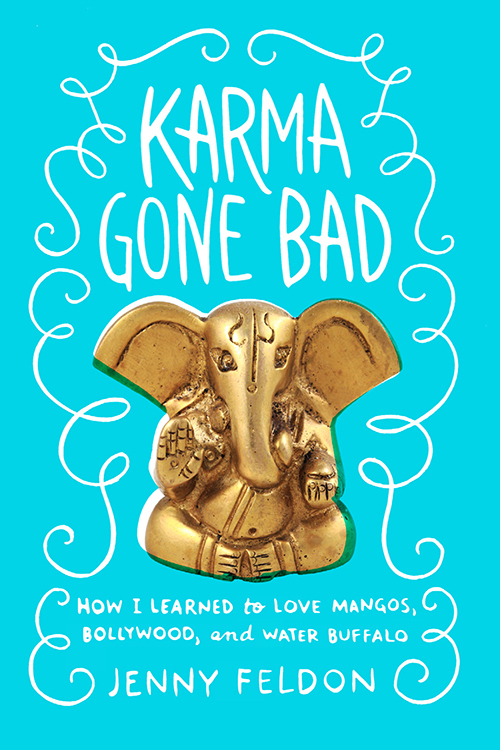 She’s just written a memoir about her time in India, “Karma Gone Bad: How I learned to Love Mangos, Bollywood, and Water Buffalo.” I chatted with the Newton native about her writing process, yoga in India and her day job as Soleil Moon Frye’s online editor. 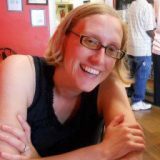 Newtonville Books is hosting a release party for Jenny’s book on Friday, Nov. 8 at 7 p.m. For more of her writing, check out her blog Karma (continued…). Congratulations on your new book! Did you have any idea when you were trying to decide how many dresses to pack for India that you’d have a book one day about the experience? Thank you! When we first told our family and friends that we were moving to India, I heard a lot of “You should write a book!” My New York book club friends practically demanded I come back with a manuscript in my hands! But even though I’d wanted to write books ever since I was little, I still envisioned myself as a fiction writer, slaving away over the Great American Novel. It wasn’t until after we returned to the U.S. that I began to realize writing this book would be the final part of my India journey. I noticed that once your attitude about India changed, there was also a change in the writing style and tone. Was that an intentional move on your part? Yes. The first half of the book is essentially me at my worst, most un-enlightened self, and I tried to make the narrative voice convey that lack of self-awareness and maturity. As my journey continues and a transformation begins, I wanted the voice to reflect the lessons I was learning and my changes in perspective. Yoga is a huge part of your life. What are the big differences between yoga in the United States and in India? Yoga in the West is treated like a sport or a hobby—it’s something you “do.” Go to the studio, take out your mat, put in your 90 minutes, and then check it off your daily list. It’s still powerful and can be life-altering (it has been for me, even in the U.S.), but it’s very different than yoga in India. In India, yoga is something you live, something that flows through your awareness and your daily life. People practice meditation and asanas in their homes. “Studio-style yoga” was just starting to make an appearance while I was living in Hyderabad. I’ve been lucky enough to study with true yoga masters in both countries and am grateful for being able to experience two different perspectives on using yoga to transform your life. I have to ask about working with Soleil Moon Frye because I was a huge Punky Brewster fan. I don’t know if I could walk into a room with her and not start singing, “Maybe the world is blind,” every single day. Do you ever have Punky Brewster throw-back fashion parties? I was a huge Punky fan too! Soleil and I actually met at our temple’s “Mommy and Me” class. We clicked almost instantly and became good friends (and so did our girls) long before we started working together. But our glitter- and cookie-filled play dates (“Grease” sing-alongs and homemade chocolate chip cookies!) soon turned into long discussions about the passions we shared—writing, social media and balancing motherhood with our careers. 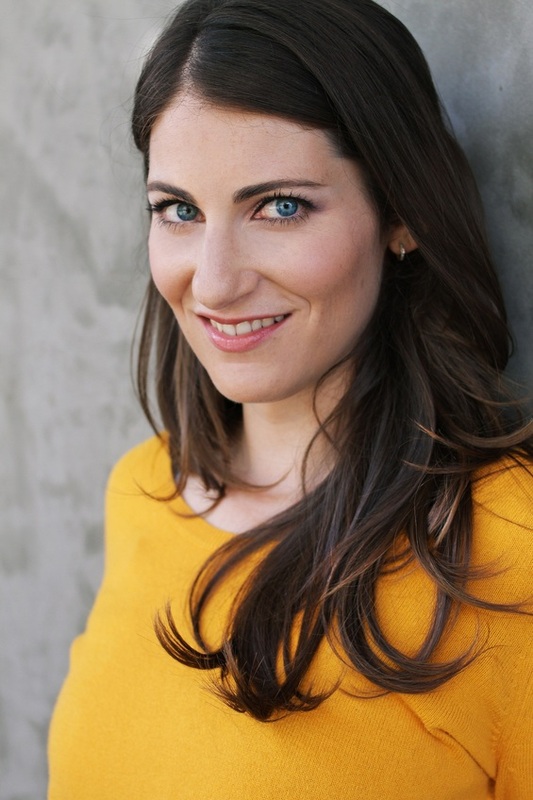 Soleil is an amazing person and a huge source of inspiration to me, and I feel very lucky (talk about good karma!) that our paths crossed the way they did. Our lives intersect in so many places, and most of the time she’s simply “Soleil” to me and my family. But there’s a lot of Soleil in Punky…and a lot of Punky in Soleil! Every once in awhile she’ll grin in a certain way and I’m transported back to my childhood days, begging my mom to buy me two different pairs of high tops so I could wear one of each color. I haven’t burst into song yet, but it’s always possible.